9 A fork in the retail road for fresh produce companies? 10 Is this the end of ‘retailer vs supplier’? In an age where the quality of fast food is rapidly improving and consumer demand for meals outside the home is bubbling away nicely, the fresh fruit and vegetable business could potentially dine out on the healthy eating trend for many years to come. 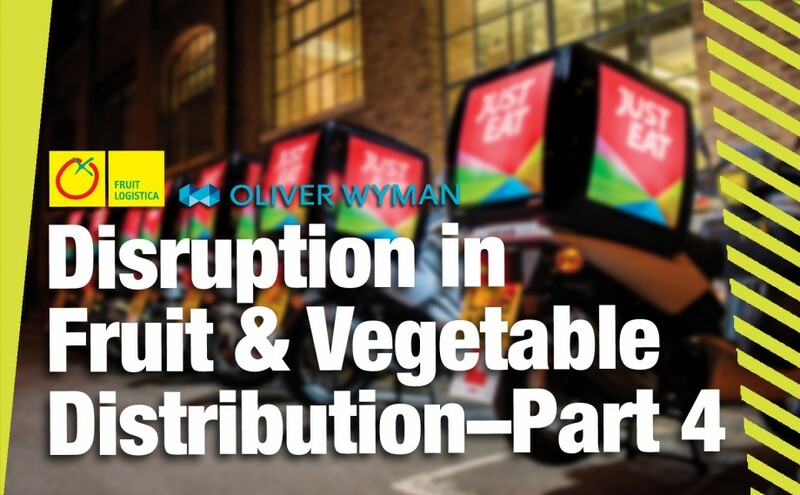 That’s the main conclusion drawn in the fourth and final part of Disruption in Fruit & Vegetable Distribution, Fruit Logistica and Oliver Wyman’s ground-breaking free report about the future of international fresh produce supply chains. Click here to download your free copy of Part 4 of the Fruit Logistica Trend Report 2018. With healthy options very much on the menu, fresh produce is serving up precisely the kind of additional value that consumers want nowadays when ordering food in a restaurant, eating on the go, or using one of the world’s fast-emerging delivery services…and that’s just for starters. Furthermore, despite suggestions that the recent proliferation of foodservice variety and quality could slow down over the coming decade, the report concludes that increased demand for fresh, high-quality ingredients will combine with a marked shift towards diets that include more natural, less processed foods. Hungry for more? 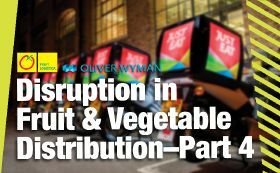 You can read all about trends in foodservice and how these are reshaping the fresh produce supply chain by reading Part 4 of Disruption in Fruit & Vegetable Distribution. All four parts of the Fruit Logistica Trend Report 2018 are available here.